Do you like toasted marshmallows? YES!!! Whether it's a quick catch it on fire, blow it out, then eat it or gently warming it all the way through and getting it a nice golden brown all the way around. With or without chocolate and Graham crackers. I actually just had some for the first time in years yesterday. No, never did. Too gooey. Do you like catfish? Have you ever tried Japanese cheesecake? How often do you order food to your home? How many Easter Eggs are you eating tomorrow? Some people binge eat when they’re stressed. Some don’t eat at all. Which one are you? I like toasting them better than eating them. But they're OK to eat. Love them. Toasting marshmallows is so fun! I don't like them untoasted either. TOASTED MARSHMALLOWS ON A CAMPFIRE!!! YES!! Marsh mellows make my teeth ache. Yep. Just gotta watch out for dem carcinogens lol. 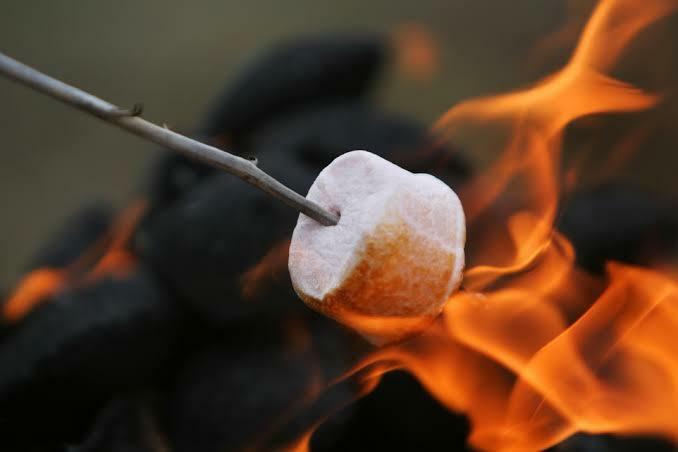 Home > Food & Beverage > Do you like toasted marshmallows?